One medical marijuana dispensary is reportedly ready to open but has run into some roadblocks, while the other has yet to break ground but is hoping to do so within the coming weeks. With an important relicensing deadline coming up, both of Marysville’s approved dispensaries must show they are making progress or else city officials might decide to take another route. Marysville issued medical marijuana dispensary licenses to the Marysville Cannabis Co. and River City Phoenix – Marysville last March. City officials will review the progress each company has made so far when they go to renew licenses in February. If each group can show they’ve taken steps toward executing the project, the city will likely renew the license in March, said Jim Bermudez, director of Community Development and Services. “They have annual licenses they have to execute, and if they don’t or it’s taking too long, the city will have to re-evaluate what to do moving forward,” Bermudez said. Bermudez said getting both marijuana dispensaries opened for business is an important priority for the city because of what it will bring along with it, in terms of tax and revenue generation. Following a favorable decision by the Marysville City Council last July to reject an appeal over the company’s use permit, Chris Hester, president of Marysville Cannabis Co., 107 10th Street in Marysville, said the dispensary would likely open in August 2017. Fast forward five months and the doors have yet to open. Hester said they’ve made “tons of renovations and improvements” to the property but an “internal dispute” is preventing further progress from occurring. The closure, he said, has resulted in hundreds of thousands of dollars lost. “We are ready to open, but we’ve run into an issue with the landlord, so we are at a standstill,” Hester said. Hester wouldn’t go into detail as to what the internal dispute might entail, but said the upcoming relicensing deadline is an important milestone for the company, so they will be working to right the ship over the coming weeks. 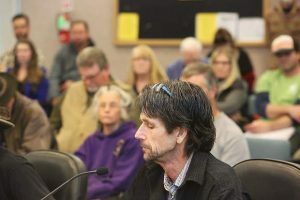 Lorne Silverstein, a cannabis consultant for Integrate Cal Community Partners who is working with the owners of the property, said he couldn’t comment on Hester’s statement regarding an internal dispute. “The only thing I can tell you is we are in confidential negotiations with Marysville about that location, and we are working collaboratively with the city,” Silverstein said. Bermudez said as far as the city is concerned, officials last reviewed the company’s facility four months ago but haven’t heard or seen any activity at the site since. 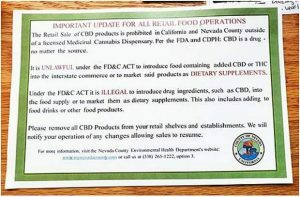 Matt Z’berg, community relations coordinator for River City Phoenix, 521 Third St., Marysville, said the company is in the midst of the permitting process but is hoping to break ground on the dispensary within the next few weeks. River City Phoenix also has dispensaries in Sacramento where they sell adult-use and medical marijuana. Z’berg said the Sacramento locations have been seeing about 400-600 people a day since they’ve been selling recreational marijuana. Though the Marysville location isn’t expected to see as many people once it’s open (considering it will only sell medical marijuana), he said the company is looking forward to the expansion and serving patients in the Yuba-Sutter area. Bermudez said River City Phoenix is close to getting the go ahead to break ground. Because the company has taken the necessary steps, the city will likely allow them to move forward with building the dispensary’s foundation in the next few weeks. During that time, city staff will review construction design documents and once it meets requirements, the city would issue a building permit to allow for full construction, he said. He said the city has reviewed one set of building plans for River City Phoenix. Once different code issues are “ironed out,” and the necessary corrections are made, the city will look at issuing a building permit. If everything falls into place, Z’berg said River City Phoenix is hoping to open its doors this summer, possibly in June. Before then, he said, the company plans on holding a job fair in the area to recruit potential employees. Jake Abbott writes for the Marysville Appeal Democrat. He can be reached at jabbott@appealdemocrat.com.